Located 30 minutes west of Portland, Oregon - Pumpkin Ridge Zip Tour reaches heights of up to 120 feet during our two hour canopy tour. 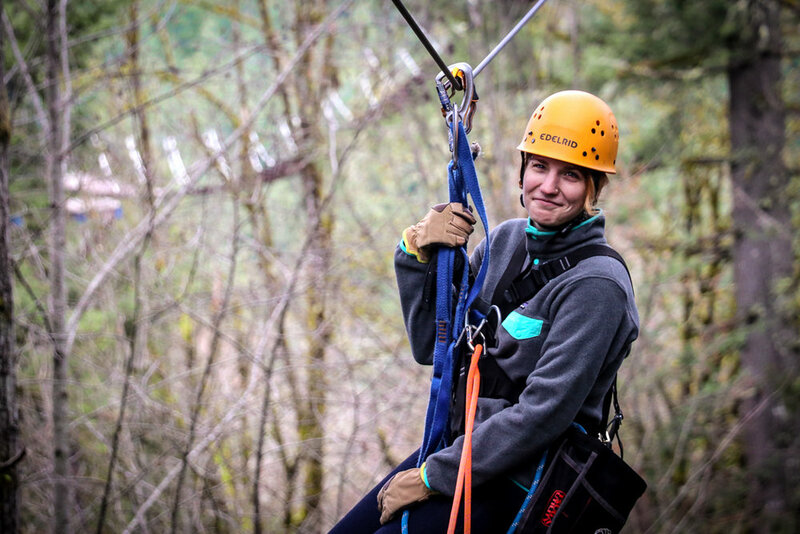 The closest Zip Line Tour to Portland, Oregon – Pumpkin Ridge Zip Tour is one of the most intentionally designed tours in the U.S.
Pumpkin Ridge Zip Tour is the closest zip line tour to Portland, Oregon with just a 35 minutes drive west of the city. A true Northwesterner never shies away from a little bit of cold. Even though the summer months are our busiest season, we do have tours available year round (even during Thanksgiving and Christmas breaks). Pumpkin Ridge Zip Tour is a great place to either check off your bucket list, to conquer your fear of heights or to impress a certain someone. We are honored to work with people of all abilities, fears, expectations and backgrounds. Get to know Pumpkin Ridge Zip Tour through first hand perspectives. Want to know more about what you're getting into? Check out some of our most-asked questions. View our checklist of "things to know before you go" - really helpful to prep for a day in the trees. Check out our rates and restrictions for Youth, Seniors and Adults. Curious about becoming a Zip Guide? We're currently hiring for the 2018 season. View our contact information and zip tour address.